Organic honey harvested by the children of the Robert Emmet After School project in Dublin 8 is being sold to the local community. ‘Emmet ‘s City Honey’ is the name they have given to the inner city organic honey. 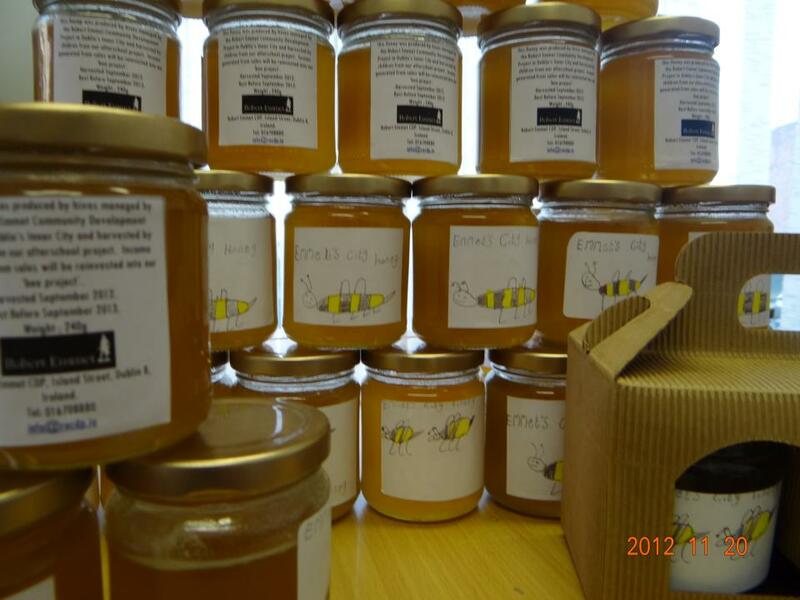 As part of the project the children harvested the honey and also designed the labels for the jars. 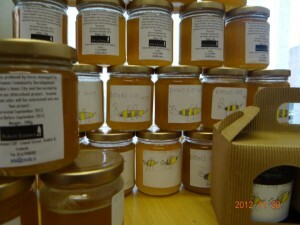 The honey is available to buy in Oh Rourke’s café on Bridgefoot Street. It costs €5 for a jar and all the money earned goes back into the community project. This service is run in partnership with the nearby St. Audoen’s National School; a small group of children attend the after school service in the Mendicity building on Island Street, where they take part in activities, including the harvesting of honey. The beehives are located on the roof of the building. The Robert Emmet Community Development Project also runs an environmental project, a community garden, a service for senior citizens and arts based activities for young people. They are located on Island Street (just off Bridgefoot Street) and the project, which was founded in 2004 mainly works with locals living between Thomas Street and the River Liffey.